WhatsApp is one of the most frequently updated social messaging app on each and every platform. 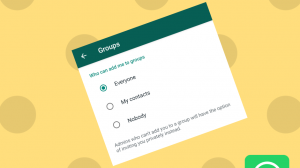 On WindowsPhone, WhatsApp runs a private beta test where new features are tested for a limited period of time before they are delivered to the public release channel. 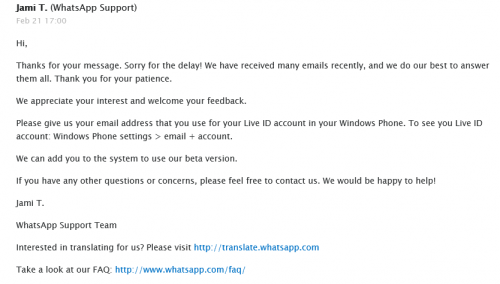 If you’re interested to join the WhatsApp Private Beta for Windows Phone, the info below is going to help you. There is no public information or forms inviting application as a beta tester. However, it’s still pretty easy to enroll. All you need to do is to send an email to WhatsApp asking for enrollment into the beta program. If they find you suitable, they’ll enroll you. Its explicitly their individual decision. Compose a new email and enter support@whatsapp.com in the To field. I am [Name] working as [Job Title}. I would like to join the WhatsApp Beta for Windows Phone so as to contribute in the improvement of the application. Can I be enrolled, please? Add the following text as a signature at the end of your email. This helps the automated system in classifying your email. Send the email after you’ve finished composing. Make sure that the email is read by a human and DO reply to the automated response that you’ll receive. Otherwise the email will never be read by a human support staff. Wait for their reply after you have responded. If you are selected, they’ll ask you to provide you your Microsoft Account email so that you can be registered in the list of Beta Testers. After you have submitted the details, you’ll receive an email in couple of days with the download link of WhatsApp beta. Start using it and DO submit your valuable feedback so that the app can be further improved. If you’re into the beta, you can download or update the Beta app through the following link or by scanning the QR code below. You can simply install the beta from the store, buddy. I am Earl Davis working as Web Developer . 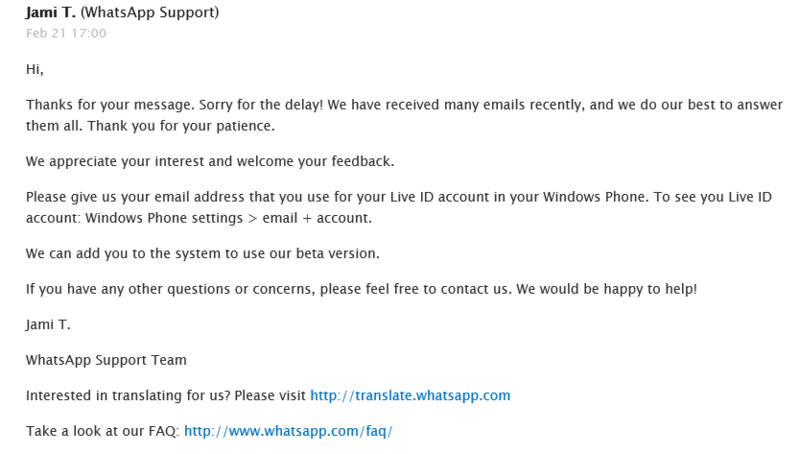 I would like to join the WhatsApp Beta for Windows Phone so as to contribute in the improvement of the application. Can I be enrolled, please? Yep. I’m aware of that. Sadly, there is no other method of joining in. Can i have the xap file of whatsapp beta version? just download it and send m on my email. Aditya, unfortunately you cannot install the XAP unless you are in the beta list of WhatsApp. 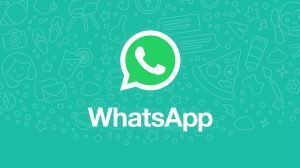 However the good news is that WhatsApp is now back in the WP Store and includes all those features that we’ve been enjoying in the beta. Can u tell me what difference arrive in whatsapp beta as compare to normal whatsapp? hey i did it in the same way they said if you have any concerns then email us ? Sorry buddy. Maybe I posted at the wrong time then. They stopped accepting new ones. Bad luck. They approved me only recently. Unfortunately, I can’t. You know my live id stores all my data (text messages, contacts, email and OneDrive). Is there any other way to get three to four WhatsApp in one device like WhatsApp Beta? You cannot do that in Windows Phone. You can only have two by using Beta and Stable releases.